A SELECTION OF RESULTS–DRIVEN TREATMENTS, using products from The Organic Pharmacy is being rolled out at Six Senses Spas at a number of its spas. Skincare by The Organic Pharmacy is based on homeopathic and herbal medicine with the principles that the quality of the ingredients and the purity of the formulation are paramount as well as dosage. Founded by Margo Marrone 27 years ago, she started her career as a pharmacist specializing in herbal medicine, nutrition and well-being, and later discovered homeopathy. From Oman to Spain, Qatar to China, the combination of facials, body sculpting treatments and rituals are delivered by award-winning Six Senses therapists and complemented by products using natural extracts and pharmaceutical grade ingredients in dosages that deliver serious results for healthy glowing skin. “I decided to use my herbal, homeopathic and pharmaceutical knowledge to create a shopping haven free from chemicals found in other stores, a place where expert knowledge on well-being, herbs and homeopathic remedies were readily available. “My principles were very simple, the best organic ingredients, honest expert advice, quality service, incredibly effective products and a caring environment. I took the idea to my husband Franco whose design skills and vision turned The Organic Pharmacy into a modern-day health and beauty centre,” said Marrone. 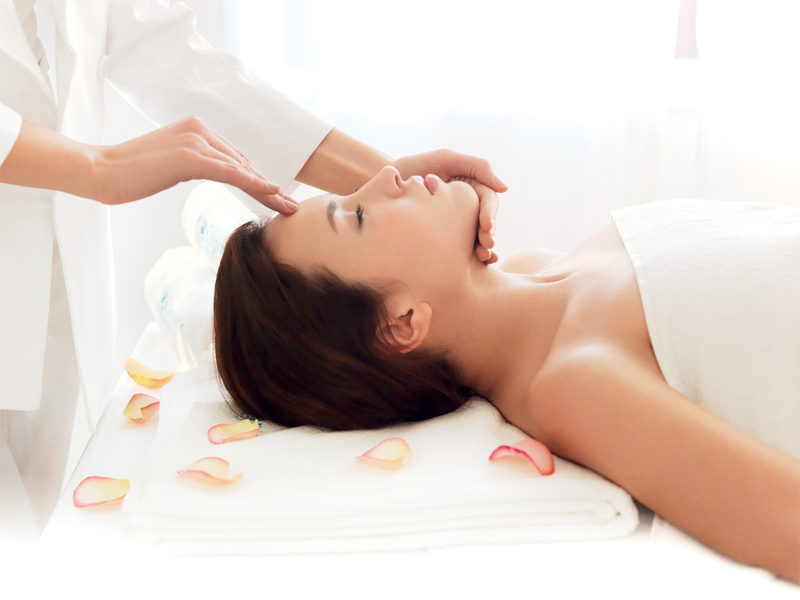 Rose Crystal Lymphatic Facial, described as the ultimate signature experience starting with deep cleansing and followed by the application of three masks to decongest, brighten and hydrate the skin. Skin Solutions Acne Facial, which focuses on decongesting your pores and restore balance to acneic skin with this custom blended facial. It includes deep cleansing, exfoliation, lymphatic drainage and three personalized masks, leaving the skin looking fresh, luminous and revitalized. Vitamin C and Papaya Enzyme Peel Facial, which targets age spots, pigmentation, fine lines and uneven skin with this facial combining deep cleansing and fruit acid exfoliation to reveal a brighter, nourished and exceptionally smooth complexion. Hydra-diamond Exfoliation Facial is ideal for sun-damaged skin, dull skin with enlarged pores and diminishing acne scars, age spots, wrinkles. Densely packed diamonds glide over the skin to exfoliate and remove dead cells. “We chose The Organic Pharmacy because it gives our guests a fantastic product experience in line with our values of sustainability and being wellness pioneers,” said Anna Bjurstam, vice president Six Senses Spas.